A 2018 Court of Appeal for Ontario ruling on waivers, described as “great news” for liability insurers, is now final. The Supreme Court of Canada announced Thursday it will not hear an appeal of Schnarr v. Blue Mountain Resorts Limited, released March 28, 2018 by the Court of Appeal for Ontario. The decision resulted from two separate personal injury lawsuits going through Ontario’s court system, both arising from skiiing accidents. Elizabeth Woodhouse is suing Snow Valley Resorts. David Schnarr is suing Blue Mountain Resorts. Allegations against the resorts have not been proven in court. Thursday’s decision means the defendants have won a key legal argument, but it does not mean they have won the cases. Both defendants, Snow Valley and Blue Mountain, used waivers. As it stands, both plaintiffs are now bound by their respective waivers, even if they sue the ski resorts for breach of warranty. Both lawsuits are expected to go to trial, Shantona Chaudhury, partner with the law firm (Pape Chaudhury LLP) representing the plaintiffs, told Canadian Underwriter earlier. In separate 2017 rulings – David Schnarr v. Blue Mountain Resorts Limited and Woodhouse v. Snow Valley – two judges with the Ontario Superior Court of Justice made similar (though not identical) findings against the defendants. Those rulings were on very similar questions of law regarding how the Consumer Protection Act applies. In a nutshell, the lower courts found that waivers valid under the Occupiers’ Liability Act are unenforceable under the Consumer Protection Act. The plaintiffs were supported by the Ontario Ministry of Government and Consumer Services, which had intervener status. But the defendants were successful on appeal. Their appeals were heard together by a single three-judge panel of the Court of Appeal for Ontario. The appeal court ruling in favour of the defendants is “great news for liability insurers, particularly any liability insurer who deals with the recreational industry,” Robert Betts, the Beard Winter LLP lawyer who defended Blue Mountain, told Canadian Underwriter earlier. The plaintiffs applied last year for leave to appeal to the Supreme Court of Canada. The top court’s decision not to hear the case, released Feb. 7, 2019, means the plaintiffs’ application is denied. Canada’s highest court does not provide reasons when it denies leave to appeal. “To the extent that an occupier engages with members of the public for the use of the occupier’s premises in return for payment, and thus creates a consumer agreement, the provisions of the CPA [that void waivers] do not apply to that agreement,” Judge Ian Nordheimer of the Court of Appeal for Ontario wrote in the 2018 ruling. Waivers do not provide a complete defence in personal injury lawsuits, lawyers for the defendants suggested earlier. “Even if you have the waiver, you have to have good risk management policies and practices in place,” Betts told Canadian Underwriter. The Consumer Protection Act does apply to occupiers of land who “engage with members of the public and create consumer transactions that do not relate to ‘persons entering on premises or the property brought on the premises by those persons,’” Judge Nordheimer wrote in the ruling in favour of the defendants. In the context of an occupier of land who lets consumers use the premise for a fee, the Occupiers Liability Act takes precedence over the Consumer Protection Act, Nordheimer suggested. As intervener, the Ontario Ministry of Government and Consumer Services had argued that some consumer transactions are exempt from the Consumer Protection Act, but those are governed by other laws, which are listed in Ontario Regulation 17/05. Some examples are the Architects Act and the Veterinarians Act. The Occupiers Liability Act is not listed, the Ministry of Government and Consumer Services noted in its intervener argument. Schnarr was injured April 29, 2010 while skiing down the “Smart Alec” trail at Blue Mountain. He collided with a piece of debris from a broken ski pole, lost control and struck a tree. 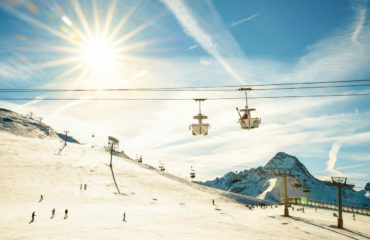 When buying his season’s pass online, Schnarr agreed to release the ski resort “from any and all liability for any loss, damage, expense or injury including death that I may suffer, or that my next of kin may suffer resulting from either my use of or my presence on the facilities or travel beyond the ski area boundary, due to any cause whatsoever, including negligence, breach of contract, or breach of any statutory or other duty of care, including any duty of care owed under the occupiers’ liability act, on the part of the releasees, and also including the failure on the part of the releasees to safeguard or protect me from the risks, dangers and hazards of skiing and snowboarding referred to above.” The last 66 words were all capitalized. Originally, in 2017, Justice Rita Tzimas of the Ontario Superior Court of Justice, ruled that the plaintiff’s negligence claim will be subject to the defendant’s waiver but that the breach of warranty claim would not be subject to any waiver. Woodhouse claims in her lawsuit that she was injured while using the tow rope Dec. 23, 2008 at Snow Valley. In 2017, Ontario Superior Court Justice John McCarthy made several findings. He ruled that the Consumer Protection Act applies to the entire agreement between Woodhouse and Snow Valley and that parts of it are not enforceable. Justice McCarthy also found that a court can sever part of the agreement on the grounds that it is unenforceable, leaving other parts of the agreement enforceable.